Official synopsis: "Dodger is a tosher – a sewer scavenger living in the squalor of Dickensian London. Everyone who is nobody knows Dodger. Anyone who is anybody doesn't. But when he rescues a young girl from a beating, suddenly everybody wants to know him. And Dodger’s tale of skulduggery, dark plans and even darker deeds begins . . ."
I'll admit to never really being much of a fan of Dickens. I've never really gotten it. Aside from The Muppet's Christmas Carol I've never really had much to do with it. But when I heard that Sir Terr Pratchett, genius that he is and creator of the best continuous series ever, Discworld, was due to tackle to tale of one of Dickens most famous characters, the Artful Dodger I suddenly got very excited. I couldn't wait to read what he'd do with the legendary character. And the wait was definitely worth it. Dodger is a well thought out and well written book that made me laugh so much it's crazy. As is customary with any of Pratchett's work, be it The Colour of Magic or Nation, his hugely acclaimed YA novel which was the second of his books I ever read and adored, there's wit to be had on every page. Terry has this amazing abilit to play his cards very carefully. There are bits that younger readers can enjoy in one way, that older readers will understand on a different level. And there are also parts where it'll be a few pages later you'll actually get it and have a little chuckle. I will be honest, I wasn't entirely sure what to expect here. Despite not being a fan of Dicken's work, we all know about the Artful Dodger. All of us. And I didn't want This to be just a re-hash of they story. I didn't want it to be anything like we've seen before and I wasn't disappointed at all. Dodger is fun, fresh and hugely enjoyable. At no point did I want to put it down regardless of what it was for. I just couldn't stop reatding. This isn't the Dodger as we know him - he's working for the good! I love all the little twists in here. like Dickens himself being an actual character - I didn't expect it and at first i thought it wouldn't work. It it does, and it only made the book more enjoyable for me, making it look like Dickens had actually met this person and re-created him so well in his own work. I'll be honest it's hard to summarise this book without spoiling it at all. It really hit me with a big surprise and I want people to feel that too. It really is an awesome book! My only real quip with the book is that there wasn't enough of it! It was so good I just didn't want it to end! 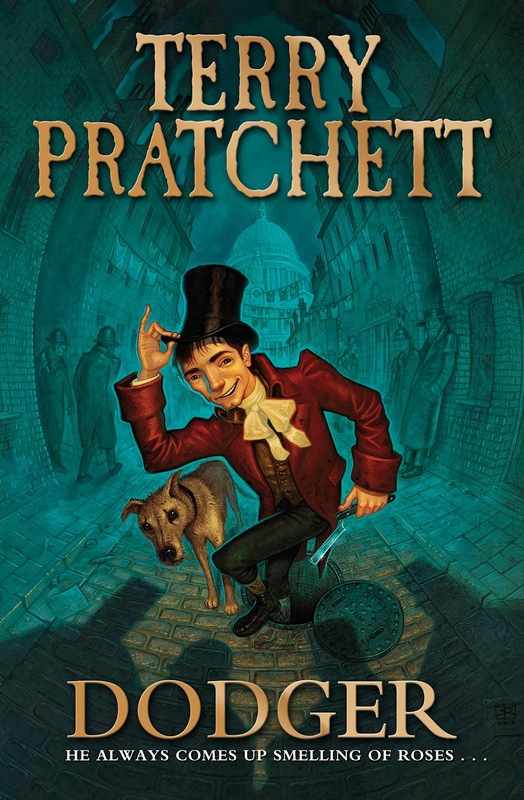 Definitely one to check out whether you're a Pratchett fan or not! Thanks to Edelwiess for my eARC courtesy of Harper Collins US! Another day and another exciting book release! This one you shouldn't miss for the world! 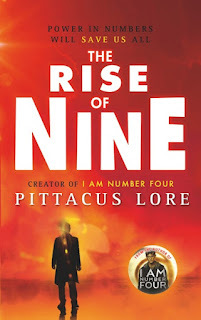 It's the third book in Pittscus Lore's Lorien Legacies! 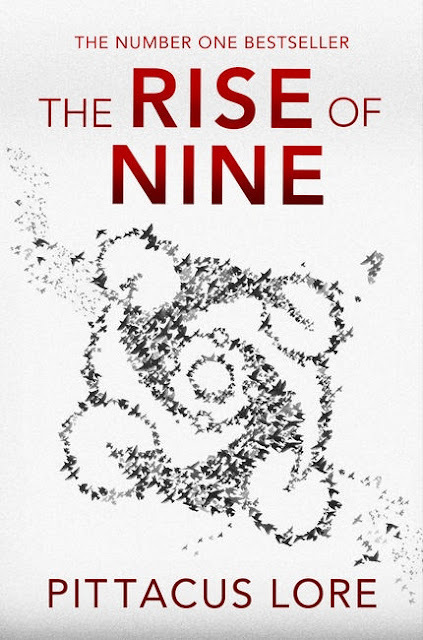 The Rise of Nine is out now and it's awesome! Need persuading? Check out my review here!! 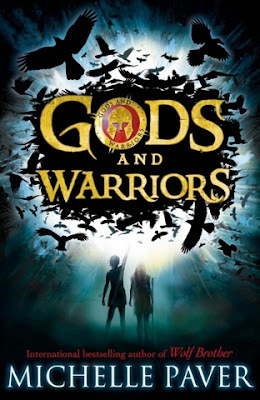 Happy Publication Day to GODS AND WARRIORS!!! It's now officially Tuesday, 28th August 2012, which means something very exciting has just happened... 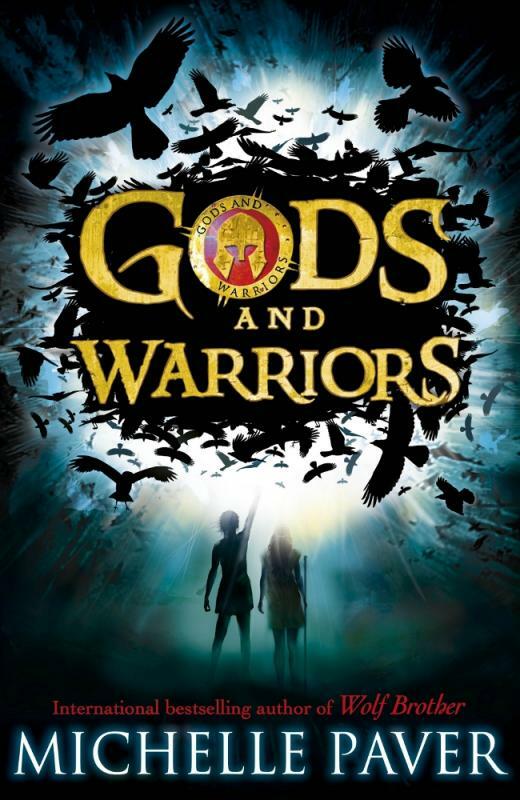 It's officially the publication day for Michelle Paver's new book, Gods and Warriors! The first book in the series of the same name is now available so off you pop folks. It really is something special that should not be missed! If you need any more persuading, check out my review here! I need to firstly apologise as for some reason, Blogger only posted half the review. I also need to apologise for the gush-factor here. I just couldn't help it. Love the book that much!!! Official synopsis: "Kicked out of yet another boarding school, Archie couldn't be happier to find himself back in London with old friends and an exciting social life. But he's worried about his cousin Ty, who is facing a sentence in a Young Offender Institution and doesn't seem to be coping. And he's finding that his old friends have moved on and it's a struggle to keep up with their new lives. When he begins to learn surprising things about Ty, Archie goes on a mission to discover the truth about his cousin's past. But who is the real Ty? The thrilling follow-up to When I Was Joe and Almost True takes readers on a terrifying adventure through London's gangland. First off, just let me say, Keren, you are amazing. Quite simply amazing. There. I've said it! I'll admit, picking up Another Life there was some doubt in me. After When I Was Joe and the incredible Almost True, what could happen to Ty next? What really could happen? Where would he go? And would it be good? Answer. Yes. And it is oh so good! Another Life is, for want of a better word, incredible. Narrated, mainly, by Ty's cousin, Archie, Another Life begins with yet another dark turn in poor Ty's life. This guy just can't seem to catch a break. He's been sentenced to 12 weeks in a Young Offenders institution and isn't coping well. When he wants to keep his head down, keep a low profile and hope the weeks pass quickly, he sees a familiar face, one he certainly was hoping he'd never see again. And tragedy strikes again. Just as with her previous books, you are kept right on the edge of your seat, precariously dangling into the abyss that is London's gangland. Ruthless and with Ty/Joe and now his cousin Archie in their sights, no one can be trusted. Nowhere is safe. The writing as usual is world class. Absolute top notch. So beautifully written and woven together, your eyes really will be glued to the page, desperate to see where it'll all go next. More suspense than you can shake a stick at. What makes it all the more addictive, I suppose, is the fact that it's all real. This could actually happen. All of it. Every page. Albeit addictive it's highly terrifying, and I know for me this kept me reading. I'd get a knot in my stomach when certain events take place. Keren's writing is incredibly thought-provoking. I personally was always asking myself what I'd do in that situation. How would I react to this? How would I feel about that? That's the true beauty of Keren's work. The reality and the ability to make you question yourself. And with this, seemingly, being the last time we'll see or hear anything of Ty/Joe and all of his equally mis-fortuned and suffering family, the book has a feeling of finality about it. Everything must come to an end, albeit one I'll admit I was not expecting... and one that had me in tears. Pure tears. But it was worth it. 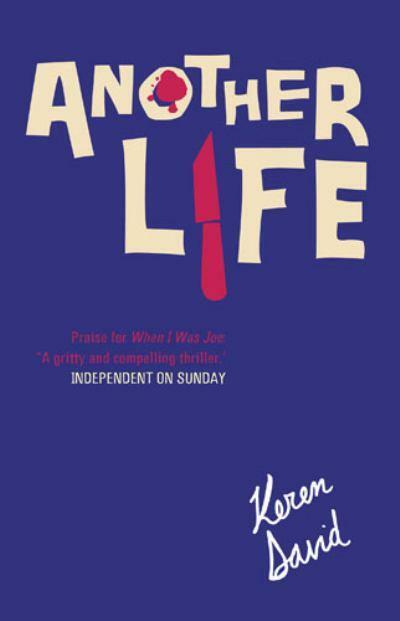 Another Life is a truly beautifully written, important and stunning book. It could stand alone from Keren's previous work and make her a legend as far as I'm concerned. Add it to her back catalogue and it's all the more amazing. Folks, even if this book doesn't sound like your cup of tea, or coffee if you're American, then please, I implore you, read it anyway! I'll be honest, when I received When I Was Joe two years ago I thought I'd really not enjoy it - it didn't sound like anything I'd ever want to read. Sounded scary, sounded far too real. But it's needed. These books are important. They teach a great message as well as keep you entertained. These books, as far as I am concerned, should be put in every single library, in every single school, be stocked in every single book store across the country, and beyond. They should be read by anyone. If not because the messages they speak, then because of their sheer wonder. Keren, as I said at the start of this review, you rock! I cannot thank you enough for writing such amazing books! My thanks go to Keren's publisher, Frances Lincoln, for the copy I received. Official synopsis: "From a time of myths and ancient magic will come the legend of the lost city of Atlantis, tales of gods and warriors - and the rise of a hero. His sister is missing. His dog has been killed. High in the Greek mountains, Hylas is running for his life. The mysterious black warriors want Hylas dead. So begins his quest across land and sea with only a girl and a dolphin by his side. But the warriors are relentless. Why are they hunting Hylas - and how will he survive? As a long term fan of Michelle, this book was always going to be a big deal for me, and the wait for it has been a torturous one. First announced back in December 2010 after the release of the terrifying ghost story, Dark Matter, the last year and a half have been slow. Long days of waiting for something new to read, something new to put on the bookshelf next to her previous books. I’d even left a space just begging to be filled. And now, at last, it’s here. And it was worth every single second that passed. Every moment was worth the wait because what we have here is nothing short of amazing. I remember saying on Twitter in February when I actually read the book that it’s a real world building book and I still stand by that. Gods and Warriors really gives us an insight into the world in which the 5 book series is set. Set in the Mediterranean around the bronze age, we get a glimpse of the way the characters live in the bronze-age, we get a feel for their customs and their ways, their beliefs and their views on those who are not like others. Outsiders. Hylas is an Outsider. All his life, he and his sister have lived outside of the village with a few others, tending to goats on a mountainside. They are not worthy of life within the confines of the village, but at the same time, they are given a purpose. But then one day, everything changes. The Black Warriors come to slaughter them all. But why? Hylas manages to escape, barely, with his life, but his sister is missing. His beloved sister Issi. She’s all he truly has in the world, she can’t be dead. Hylas is determined to find her. He has to. But it’s not just the mission to find his sister that has been unlocked by the arrival of the Black Warriors. Something else is stirring, far bigger and far more dangerous. I will be honest that when I started reading the book, it did take me a few chapters to warm to Hylas. To all of the characters really. I was so used to reading about Torak, and Renn and Wolf, that it felt weird to be reading about all these new characters. The style, although different to that of the Chronicles of Ancient Darkness, is instantly recognisable as Michelle’s, right from the first word, and it was hard to get used to these new characters being here, all of a sudden out of nowhere. And the book really does start all of a sudden. Bang. Right into the action from the first sentence. And the pace doesn’t really let up. As is custom with Michelle’s work, she’s so economical. Every single word counts. Every sentence has fought for it’s right to be there and this is evident. Sometimes when reading a book you get a sense that a paragraph or even sometimes whole chapters are just fillers, only there to be there, and not really serving any justice to the story. But with Gods and Warriors, and indeed all of Michelle’s work, there is no sense of that here. We also meet Pirra. Daughter of the High Priestess she has never been her own person. Always told what to do, when to do it and told never to question, she longs to be normal, to live outside of the confines of the temple. She is feisty, strong willed, and defiant. And as we know Michelle is so passionate about wildlife, we have animals here too. From the blurb we are told to expect dolphins, a lion cub and a falcon, and it is the dolphin we meet first. Michelle caught peoples imagination in Wolf Brother when she wrote from Wolf’s point of view, from within his mind and here again she does it with the dolphin, and it is mind-blowing. She really seems to get it. Whatever it is, she knows exactly how to express it, and how to get as much out of it as she can. I often wonder if there is an element of Doctor Dolittle in Michelle. She has captured something so wonderful and captivating. Again, I’ll be honest, this is not at all what I was expecting. 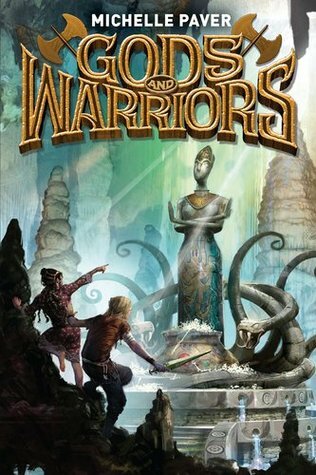 As already mentioned, the wait was a long one, and having already known that the series was to be called Gods and Warriors, I let my mind wander many-a-time to think about what the series could have been. I’d imagined Zeus and Hades. I’d imagined storms created by Gods and the Humans of Earth, the Warriors of Earth, rebelling against them. But that’s not what we find here. It’s something far greater and more original than I’d thought and to be honest, I’m thankful! Michelle Paver is back with a colossal bang ladies and gentlemen. You can expect to be late for school, work, appointments, everything, because once you sit down with this book you will not want to get up until you’ve finished it! It’s beautifully written, eerily captivating, totally addictive and blooming brilliant to boot! Please, I implore you, do not miss out on the start of what looks set to be an incredible series. I am gagging for Book Two already! ARGH! Published by: Delacorte (US) / Chicken House (UK). 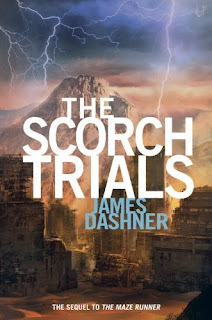 Official synopsis: "Thomas knows that Wicked can't be trusted, but they say the time for lies is over, that they've collected all they can from the Trials and now must rely on the Gladers, with full memories restored, to help them with their ultimate mission. It's up to the Gladers to complete the blueprint for the cure to the Flare with a final voluntary test. Will anyone survive the Death Cure?" I'll be honest, I'm writing this just half an hour after finishing the book, and whilst I freaking loved it, there is a big sense of disappointment for me. The book had me hooked the whole way, that's a given. It's action packed. Taught and the writing is fluid. But then the ending... Whilst good... Argh. I just can't explain it. It wasn't what I was expecting, and while I suppose it is a natural ending, it just happens. There's no explanation. No revelation. It just happens. But for the main part I loved this book. As I've already said, it is so action packed. I think the book benefits from the fact that the Trials are over. 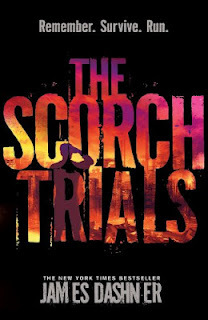 At points in the previous two books, The Maze Runner and The Scorch Trials, there were moments where it dragged slightly, thanks to the Trials being run by ever omnipresent WICKED. And speaking of WICKED, they never fail to amaze me. Yet again, they seem to grow more twisted, more sinister. More sick. There were moments in The Death Cure that had me gasping for breath, and even made me feel repulsed. Janson, or Rat Man as the Gladers know him is the worst. A truly horrible character... The character development, again is lacking, but with this series, it's not really about the characters. It's more about the plot, and the destination. Cranks are getting worse. The Flare is spreading far faster and wider than WICKED could of anticipated, and time is running out. They're nearing the end of their testing, and have nearly completed the blueprint that will end it all. They're nearing on a cure, or so they claim. But they need just one last thing, one piece of the puzzle to make it all complete. The Final Candidate. Thomas. Some of the scenes, the images, the descriptions and actions in this book are so chilling. One, near the end made me squirm a little and actually made me pause for a bit. One moment in the book though, actually made me chuckle. I'm not sure it's meant to, but I couldn't help myself. The image that I created in my head was just hilarious... Maybe if you read the book you'll know which bit I mean, but I actually had to put the book down and laugh. Overall, an enjoyable end to the series. I was going to dive straight into the prequel, The Kill Order, which came out earlier this week, but I think I need a bit of time away from the world of the Maze, the Scorch, WICKED, Thomas and all of his friends. I would still recommend the trilogy to anyone and everyone. As I write this, I am currently melting away in this heat. Yikes! Summer is really getting it's own back right now, right? Too hot. Roll on the Winter! The Diviners by Libba Bray (man this book is huge and beautiful! Looks amazing!!!). The City's Son by Tom Pollock (so excited to read this, heard nothing but praise!). Shadows by Ilsa J. Bick. Breathe by Sarah Crossan (this sounds stunning! Cannot wait to read it!). 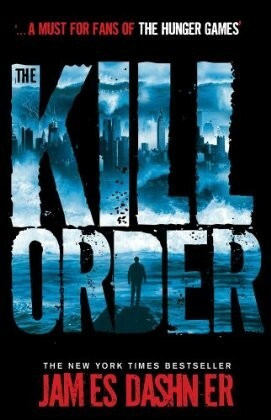 The Kill Order by James Dashner (so excited to read this, now reading the final book of the trilogy and this is the prequel, and by gum the cover art is stunning in the flesh, although the back cover gives me major creeps. That wording... Yikes!). The Title of This Book is Secret, If You're Reading This, It's Too Late, This Book is Not Good for You, This Isn't What It Looks Like and You Have to Stop This by Pseudonymous Bosch. As always, thanks to the publicists who send out review copies, and to The Book Depo for bleeding me dry. Pre-ordered tonnes this week. My bank account officially hates me! Keren David signs new deal with ATOM! Keren David cemented herself as one of my all time favourite authors with her arrival on the scene with the fantastic When I Was Joe and has only continued to blow me away, book after book. 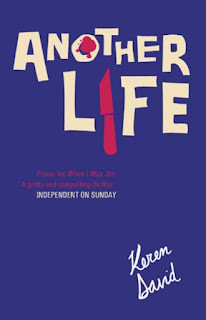 Her latest, Another Life, comes out at the start of September and is an absolute stunner! A review is coming towards the end of the month, but today it's been announced that after the end of the Children's Fiction list at Frances Lincon, Keren's current publisher, she's signed a new deal with ATOM! Eep!! 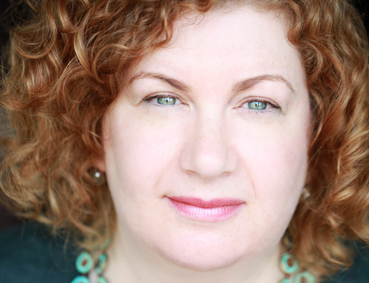 Atom Editorial Director Samantha Smith has acquired two new "home-grown contemporary YA" novels by multi-award-winning author Keren David, buying UK and Commonwealth rights from Jenny Savill of Andrew Nurnberg Associates International Ltd. The first of the two stand-alone novels, Salvage tells the story of two siblings from a neglectful home, who were separated as young children when one was adopted by a middle-class family. Now aged 16 and 18 they are reunited through Facebook, with none of the preparation and support that social workers advise. "Keren David treads that immensely difficult line between being compulsively readable but not shying away from many of the real, and heart-breaking, issues that teens face," says Smith. "We’re thrilled to be bringing such a strong, British author onto the list and have big plans for Keren in the future." A former journalist, David made the transition to writing teen fiction with the publication of When I Was Joe in 2010. Her latest novel, Lia’s Guide to Winning the Lottery, was published in summer 2011 and is currently being made into a musical. "I am thrilled to be working with Atom," says David. "I think there's a growing audience in the UK for home-grown contemporary YA, and it's great to get a vote of confidence from a leading publisher." Atom - the Little, Brown Book Group’s children’s and young adult imprint - will publish Salvage in early 2014. All I can say is that 2014 is so far away! Congrats Keren! So excited for you! Released: 30th August (28th in the US). Official synopsis: "Until I met John Smith, Number Four, I'd been on the run alone, hiding and fighting to stay alive. Together we are much more powerful. But it could only last so long before we had to separate to find the others ...I went to Spain to find Seven, and I found even more, including a tenth member of the Garde who escaped from Lorien alive. Ella is younger than the rest of us, but just as brave. Now we're looking for the others - including John. But so are they. They caught Number One in Malaysia. Number Two in England. And Number Three in Kenya. They caught me in New York - but I escaped. I am Number Six. They want to finish what they started. But they'll have to fight us first. Becoming something on an annual event, the Lorien Legacies books come a long and surprise me every time. Just when you think they can't get any better, they do. 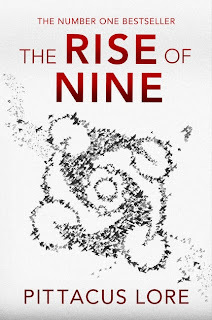 And The Rise of Nine has completely and utterly blown me away. It's taken I Am Number Four, and The Power of Six and said, "hey, we can do better than that" and boom. Here it is. Gone is the sometimes clunky and awkward dialogue (there's still a bit but then there are in most books, right?) and the story seems to be coming together beautifully. The book kicks off a day after the concluding events in the previous book, The Power of Six. The Garde are coming together, slowly. They are grouping. Six is with Seven (Marina) and Ten (Ella), along with Ten's Cepan, Crayton. Together they are on a mission to find Number 8 in India. And Four, he's with Nine, still in America recuperating after the events in the last book. Still scattered to the four corners of the globe and getting closer to each other, they've never been in far greater danger. The Mogodorian leader, Setrakus Ra is on Earth, and he means business. But now, not only are they facing the threat of the Mogodorian's, but they have a new enemy. One a little closer to home, and one that they would never of dreamed of... And it just so happens, they are working with the Mogs as a team... Danger really is on all sides! I really do think I'll struggle to get out just how much I love this book. I know I gushed in my reviews for I Am Number Four and The Power of Six when they came out, but The Rise of Nine is in a league of it's own. It's epic. It has this feeling while reading it that I just can't explain. It's an exciting book. There have been moments with the two books past that you could skip and it wouldn't really damage the story at all, but with this one, every single page has it's purpose and you can really feel it. The plot in this book seems so much more thought out and thrilling. I really did not want to stop reading at all. It flows so well - the writing is so much smoother. The characters themselves are also starting to become more fleshed out. They seem to be coming into their own. Discovering new Legacies, and just generally growing up. The book is told from three points of view. Four, of course, Six, and Seven. I was hoping we'd get a bit from Nine but maybe it's a bit too early in the series. Maybe book four? Again, something which does annoy me is this whole Pittacus Lore being a Loric Elder and actually being the one writting it, but when it's written in first person I think this idea really detracts from the story. I do think the books benefit from being in first person, the action sequences in this book certainly have you on the edge of your seat and feeling like you're right there, being shot at by Mog cannons and the like. Minor details, I know, but still! I did say in my review for The Power of Six that perhaps they're all one person and will merge at the end... Who knows? It's just a theory. And the conclusion. WOW! Just... Wow! I so want to know what happens next, but I am slightly annoyed with the last page. It just ends. I want more. Now! Argh! The wait for the fourth book is going to be such a pain! Such a freaking pain! But I'll sit here quietely, patiently, and one day we will know what happens to the Loric children and their poor ruined planet. Overall, an utterly addictive read that I cannot recommend enough - seriously, just check the series out! You will not regret it. My thanks go to Sarah over at Puffin for actually bringing these books to the UK! You are amazing! And thanks of course to Puffin for the gorgeous review copy. You guys know how to make a book look so stunning! Official synopsis: "Solving the Maze was supposed to be the end. No more puzzles. No more variables. And no more running. Thomas was sure that escape meant he and the Gladers would get their lives back. But no one really knew what sort of life they were going back to. In the Maze, life was easy. They had food, and shelter, and safety . . . until Teresa triggered the end. In the world outside the Maze, however, the end was triggered long ago. Burned by sun flares and baked by a new, brutal climate, the earth is a wasteland. Government has disintegrated—and with it, order—and now Cranks, people covered in festering wounds and driven to murderous insanity by the infectious disease known as the Flare, roam the crumbling cities hunting for their next victim . . . and meal. The Gladers are far from finished with running. Instead of freedom, they find themselves faced with another trial. They must cross the Scorch, the most burned-out section of the world, and arrive at a safe haven in two weeks. And WICKED has made sure to adjust the variables and stack the odds against them. Thomas can only wonder—does he hold the secret of freedom somewhere in his mind? Or will he forever be at the mercy of WICKED? Two years have passed since I read the first book in the trilogy, The Maze Runner, and nearly two since this book was actually released, so this review is a case of better late than never! 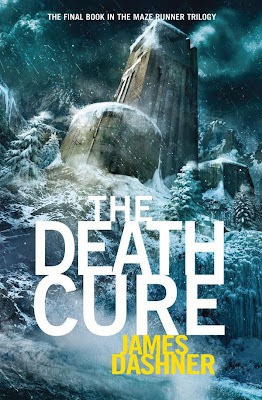 I actually only read this a few months ago in preparation for the release of the prequel to the trilogy, The Kill Order, and I'm actually reading the final book of the original trilogy, The Death Cure right now so it's all go in world Dashner for me. The Maze Runner ended on something of a cliff hanger. The Gladers were safe. Or so they thought. Once again, WICKED have tricked Thomas and his friends. Taken again from the relative safety, they are thrust into a world of danger and hideous, blood thirsty Cranks. 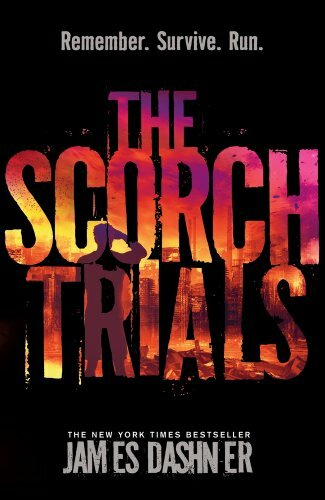 The Scorch itself is a nightmare. For me personally too. I hate Summer. I hate heat. And so the thought of an expanse of land hotter than the desert and dry as can be, with no protection from the suns rays actually terrifies me. Add that to the horrifying lightning which actually evaporates your eye balls when it hits you and you've got hell on earth, right?! 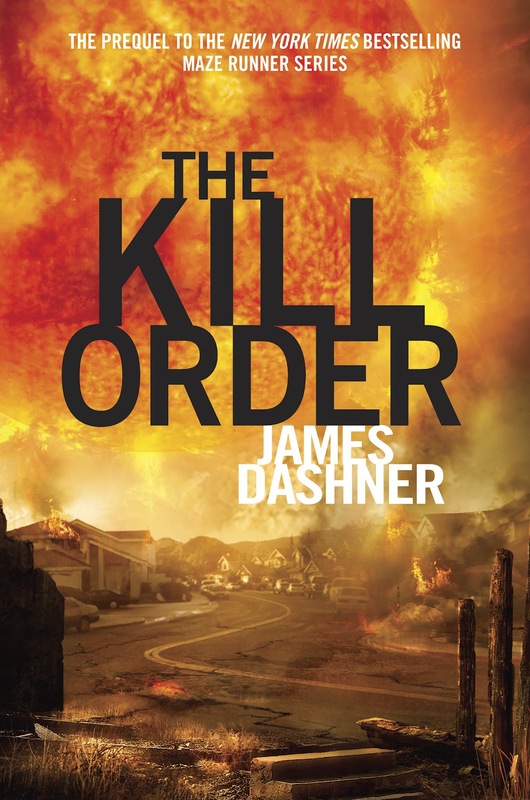 Again, as with The Maze Runner, the plot is taut, and the writing rich. The only thing for me that is really missing is character development. By the end of this book, we still don't really know who the characters are, any more so than at the end of Book One. Yes, the back story is beginning to be filled in, all those gaps closing in, but there's still a missing connection with the characters that I was looking for. But the plot more than makes up for this. It's surely action packed, danger fuelled and scary in places. And as with The Maze Runner there are a billion and one questions raging around in your mind once you finish it. I'll be honest, it made my head swim a little bit. I'm just hoping those questions are answered in The Death Cure! For sure, please do not miss this trilogy. I'm only two thirds through, and despite the lack of character development, it really is something special! When sun flares hit the Earth, intense heat, toxic radiation and flooding followed, wiping out much of the human race. Those who survived live in basic communities in the mountains, hunting for food. For Mark and his friends, surviving is difficult, and then an enemy arrives, infecting people with a highly contagious virus. Thousands die, and the virus is spreading. Worse, it's mutating, and people are going crazy. It's up to Mark and his friends to find the enemy and a cure before the Flare infects them all. Earlier tonight on twitter, Alex Scarrow, author of the TimeRiders series announced the title for the seventh book in the series. 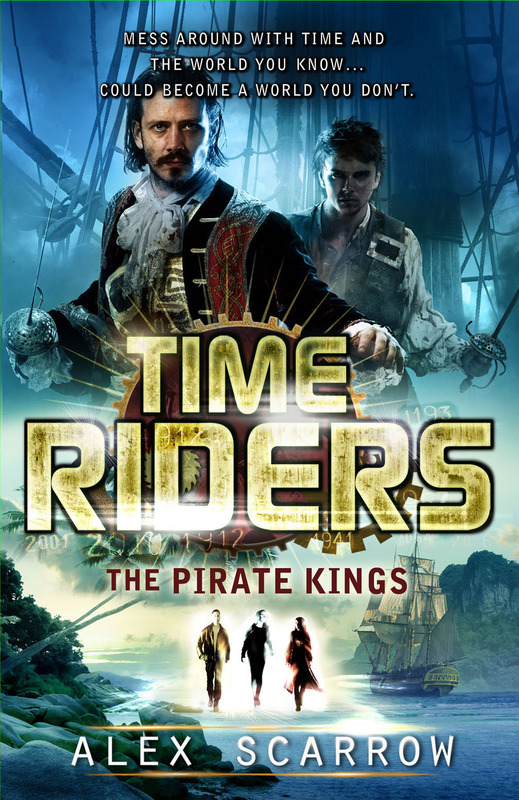 The Pirate Kings will be published next year and the cover has also been released and it's a stunner! I cannot wait!!! 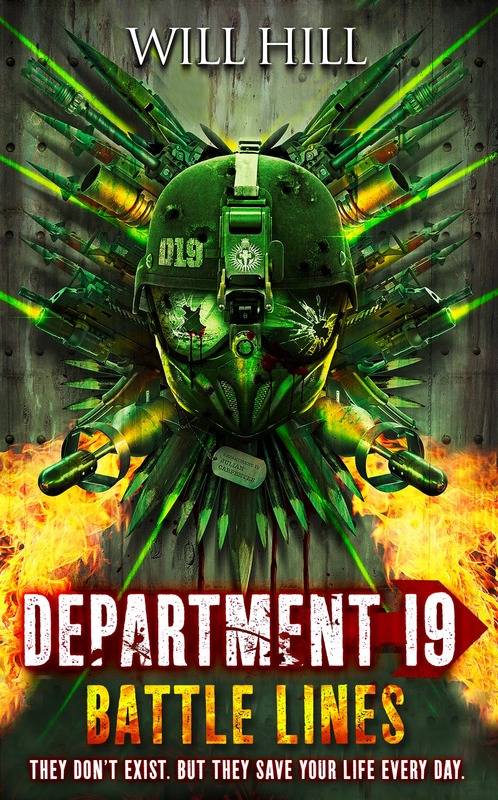 Department 19 book title and cover revealed! ARGH! Finally! Will Hill, author of the fantastically bloody and action-packed Department 19 and Department 19: The Rising, has, just moments ago, released the title of the anticipated third book in the series along with it's cover art! It's been revealed as Department 19: Battle Lines and it looks like this!!!!! As the clock ticks remorselessly towards Zero Hour and the return of Dracula, the devastated remnants of Department 19 try to hold back the rising darkness. Jamie Carpenter is training new recruits, trying to prepare them for a fight that appears increasingly futile. Kate Randall is pouring her grief into trying to plug the Department's final leaks, as Matt Browning races against time to find a cure for vampirism. And on the other side of the world, Larissa Kinley has found a place she feels at home, yet where she makes a startling discovery. Zero Hour is coming. And the Battle Lines have been drawn. Department 19: Battle Lines is published on 28th March 2013! From left to right we have, the UK cover. The Swedish cover, and the US cover. All three, I'm sure you'll agree, completely different and yet enticing covers. I'll start with the UK one, which I adore. I love the colouring of it, the crows - It'd definitely make me want to pick it up if I saw it in a book shop, for sure. The boy and the girl (Hylas and Pirra) silhouette, the eeriness of it all, I quite like. 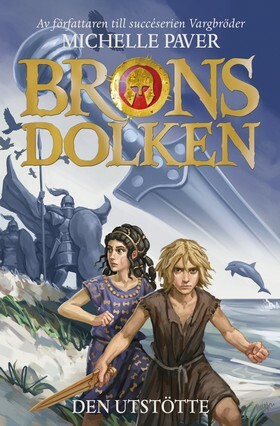 The Swedish cover, I also like. It shows the dolphin, Spirit, as well as our hero, Hylas and his new friend Pirra. I'll be honest, I'm not a massive fan of covers that show the characters face so vividly. It does annoy me slightly as I want to imagine them, it's part of the fun. Also, Hylas does not really look how I imagined him when reading. I like the dagger in the background (very important in the story), and the Black Warriors in the background looking ominous. Lovely. And finally, the US cover. Now, I'll start by saying when I first saw it I simply said "No." Just no. Awful. But I have come to actually like the cover. I think what startled me is that it shows perhaps on of my favourite scenes in the book and it just didn't look right. Now however, I do quite like the cover. The colouring, and getting to see the scene in a new light is great. Over all, I think I prefer the UK cover. Biased? Maybe. I just think it's the one that I'd rather own out of the three, although all three are brilliant covers! So, which one do you prefer! And be sure to get your copy when it's out on 28th August here in Blighty, and on 4th September in America.